Fans are about to get their first taste of The Division 2, as Ubisoft gets ready to release the private beta. Available on PS4, Xbox One and PC, the Division 2 private beta has a February 7 release date and February 11 end date. And with a 9am UK start time, fans are counting down the hours until the action begins. 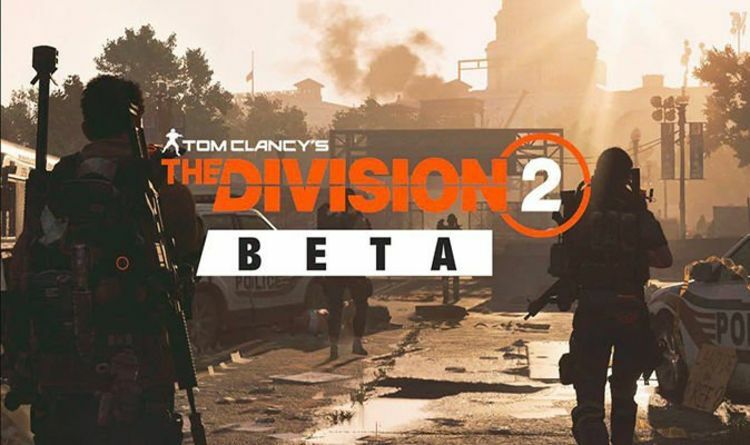 To ensure you don't miss a second of the action, you can pre-load the Division 2 private beta on PS4, Xbox One and PC. It's a pretty hefty download, weighing in between 42GB and 50GB depending on the platform. If you pre-order the digital game online, then you will automatically have access to the beta without having to redeem a key. If the beta doesn't appear in your library, then Ubisoft recommends searching for it from the platform's online store. If you pre-ordered the game at retail, then you should have been given a code that can be redeemed on the pre-order website. "You will receive an email from The Division 2 containing your key to access The Division 2 Private Beta," Ubisoft explains. "On console, you can redeem this key on your Xbox Store or PlayStation Store. On PC, the Private Beta will be visible in the "My Games" tab of the UplayPC client." The Division 2 beta will contain two campaign missions from the main game. "After establishing their Base of Operations in the White House, Agents will venture out into a transformed Washington D.C., unlocking new skills and abilities while they upgrade to a level cap of seven and discover the eastern part of the open world," Ubisoft continues. Playable in Story, Normal and Hard mode, the main missions will be joined by five side missions and countless other open-world activities. Players will also have a chance to try out PvPvE gameplay in one of the game's Dark Zones, and PvP gameplay in Conflict Mode. "In addition to this content, beginning Friday February 8th at 4pm GMT, The Division 2 fans will have the opportunity to have a first hands-on with endgame content with one Invaded mission," Ubisoft adds. "Players will experience gameplay at the level cap of 30 and unlock brand new Survivalist, Sharpshooter or Demolitionist specialisations."